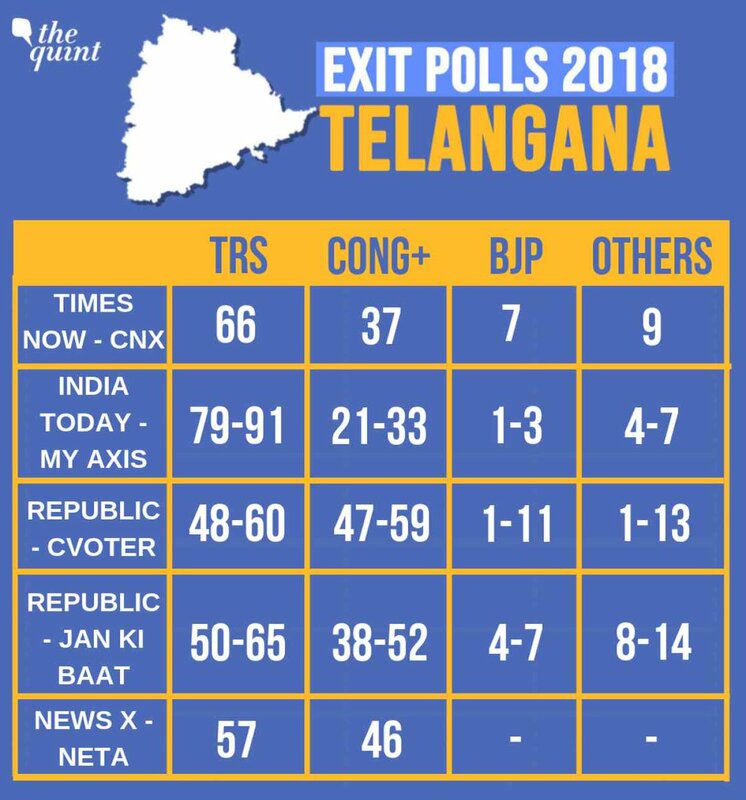 Times now exit polls have predicted that in Telangana, yet again the Telangana Rashtriya Samiti party will emerge winner in the assembly elections and become the ruling party of Telangana. 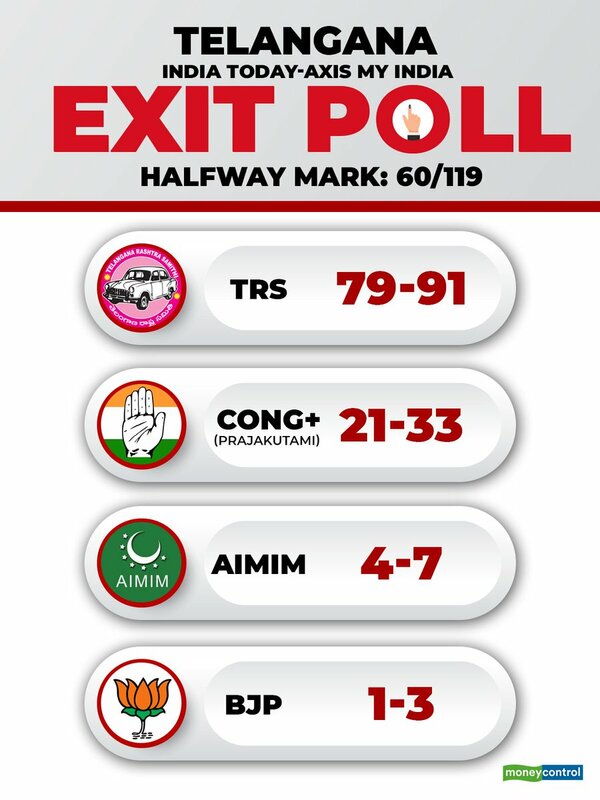 The elections have ended by 5 pm and the exit polls are in favor of TRS. The voting for 119 constituencies of Telangana state has been completed today, and while everyone is worried and wondering over who will win the elections, already the exit polls have also been done and the results of the same are out. 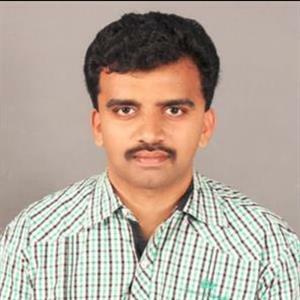 Renowned TV channel Times now has conducted this exit polls and have announced the results as per which Chadrasekar Rao's TRS will yet again win the elections and maintain the ruling of Telangana. It has been said that Congress will come second winning 37 seats, and BJP will win just 7 seats, and others will get 9 seats together. 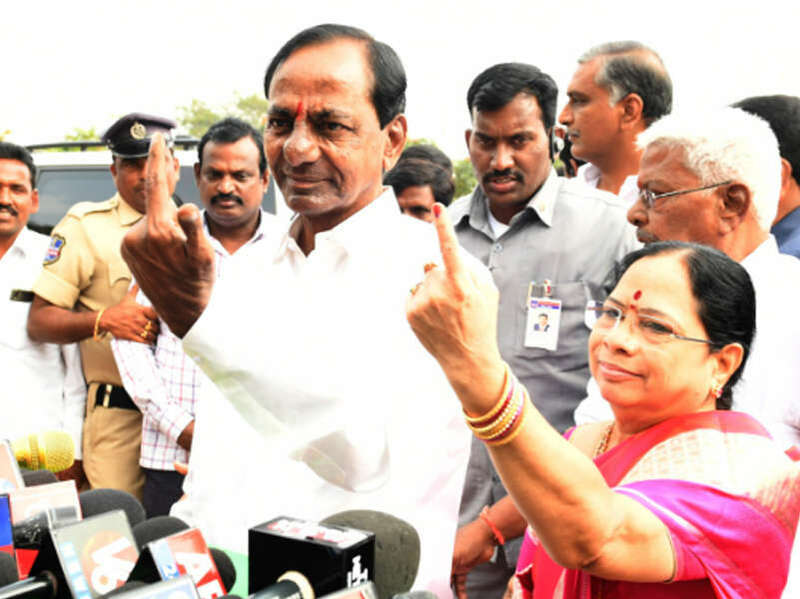 It must be noted that with 8 more months of rule, Chandrasekar Rao had dissolved the rule, but however, exit polls favor him, and the results will be known on December 11. Watch out this space for more updates.